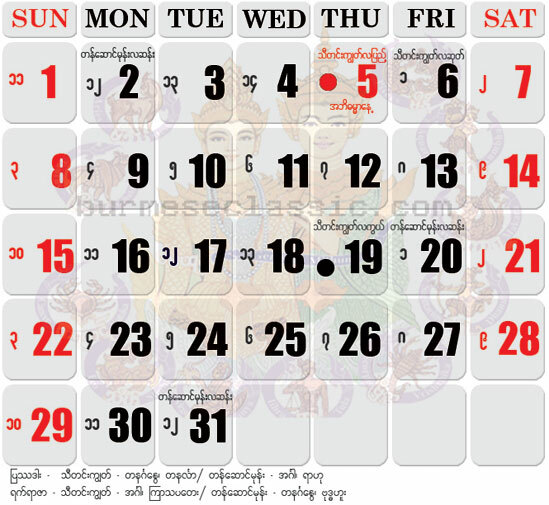 I do remember one Myanmar probe “Teacher and Daka are like water and lotus.” Teacher (in this case, teacher means the Buddha and the Sangha) and supporter (Daka) are depending on each other. Teacher cannot live without supporter. If teacher is far away from supporter, he has no one who will support him with the four requisites such as robe, food, monastery and medicine. That’s why he or she should have supporter and cannot live without supporter. Likewise, supporter cannot also live without teacher. He or she should have teacher who can differentiate between what is good and what is bad for him or her. If he or she has no teacher, he or she cannot differentiate between what is good and what is bad him or her. As a result of it, he or she may do what he or she should do or what he or she should not do. If he or she does what is good, it is no problem for him or her. Otherwise, if he or she performs bad deeds, he or she will go to hell where is full with the various kinds of suffering. That is why he or she cannot live without teacher. Therefore teacher and supporter are depending on each other. As had been mentioned above, Dayaka(supporter)’s duty is to support teacher(the Sangha) who have been performing to propagate the Buddha’s Sasana. Teacher’s duty is to preach the truth Dhamma the supporters. As to my duty, I would like to expound the truth Dhamma all of you as the expressing your sense of gratitude. Thus, your good deed (Dana) will be the highest dana (Vivattanissita dana) which is free from Samsara (birth and death). To attain Nibbana, all of Upasakas and Upasikas will have to practice meditation. Here, I would like to explain to my Upasakas and Upasikas how to practice meditation or how to use the immortal medicine in briefly. Here, immortal medicine means the Paths (Maggangas) leading to the attainment of immortality (Nibbana), deliverance from the cycle of birth and death. With respect to their stage of development, paths are classified into two levels, namely, Mundane Fivefold path (Lokiyapancangika-magga) and Supramundane Eightfold Path(Lokuttara-atthangika-magga). Of five paths, the first two are called Wisdom Path (Pannamagga) and the next three are Concentration Path (Samadhimagga). Here, the Wisdom path plays the leading role. The Fivefold Mundane Path is also called Vipassanamagga, Lokiyapancangikamagga, Pubbabhagamagga and Purecarikamaga, etc. 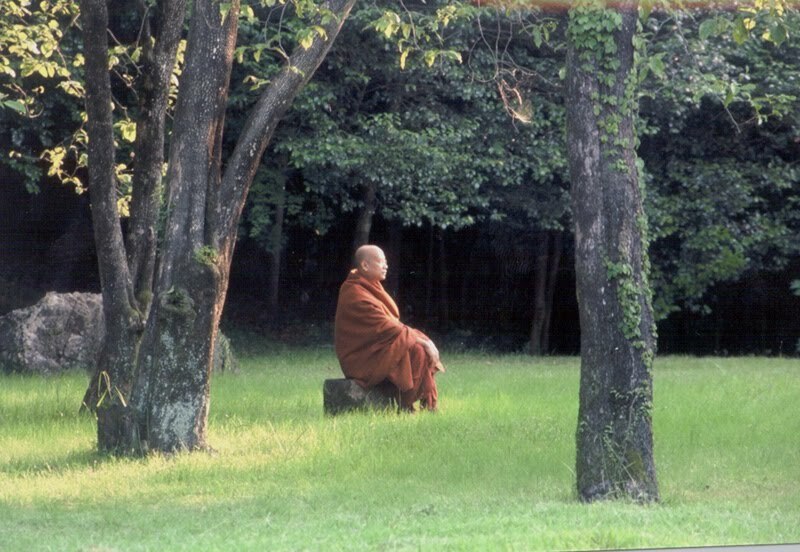 Whatever they may be called, the main thing is to apply them practically in practicing Vipassana meditation, that is, to employ them as immortal medicine. Here, you should bear in mind that, to an ordinary worldling only the Mundane Fivefold Path, i.e. 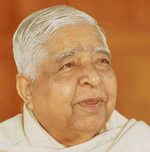 the Insight Path (Vipassana-magga) is applicable in the course of insight meditation. Hence, it is the Forerunner Path (Pubbabhagamagga) heralding the Noble Path (Ariya-magga); it may be called the initial portion of immortal medicine. In Vipassana practice, the Vipassana-magga functions as the next following consciousness (insight knowledge) which observes the perishing of the previous one, called Anicca (impermanence). In this process, the preceding Anicca and the subsequent Magga go on concurrently without allowing any defilement (Kilesa) to creep in between them. It is the technique of killing the cause to prevent the effect. As meditator keeps on meditating the arising and the disappearing of the five aggregates, he gradually attains the two highly developed stages of Vipassana knowledge, namely, Yathabhutanana (knowledge according to the reality) and Nibbindanana (knowledge of disgust); and eventually he gains the Magga-nana (the path knowledge). In this connection, it should be borne in mind that, the first two Vipassana knowledge, which sees the truth nature of the ceaselessly arising and the disappearing of the Khandha, and which disgusts the nature of them, are still Mundane Path knowledge; only the Magga-nana which culminates in the cessation of the arising and the disappearing of the Khandhas, and sees Nibbana, is Supramundane Path knowledge. However, the later could not be attained without the development of the former. With the attainment of the three stages of knowledge, the meditator becomes a Sotapanna, who initial enters the stream leading to Nibbana (the immortality). At this stage there arises in the Sotapatti Path Consciousness the Supramundane Eightfold Path, including Moral Path (Sila-magga) i.e. 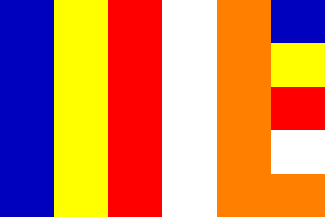 Right Speech (Sammavaca), Right Action (Sammakammanta) and Right livelihood (Samma-ajiva). A Sotapanna had already eliminated egoistic wrong view (sakkayaditthi) and doubt (vicikicca). He had by means of immortal medicine; cure himself the disease of defilements to a certain extant. So he free from the danger of falling into the woeful planes in the next existences. At the most there are only seven existences for him before he eventually attains the highest stage of Arahatta Magga(Path), Phala(Fruition) and the final stage of Nibbana. There are three stages yet to attain after becoming a Sotapanna, i.e. Sakadagami(Once Returner), Anagami (Non-returner) and Arahant (Perfect One). It is to be borne in mind that, only when there exist the arising and the perishing of mind and matter, there is mortality, otherwise, there is no mortality. Eventually, the cessation of arising and perishing of mind and matter is immortality-Nibbana. When there is no mind and matter, there is no death; and when there is no death, there is Nibbana, i.e. immortality, Amata. Immortal medicine is, indeed, the path leading to the cessation of suffering (Dukkha). Now I have given you the immortal medicine, which is not yet produced by the modern scientists in the world. You should constantly use the immortal medicine, that is to say, you should ‘incessantly and constantly’ observe the arising and the disappearing of mind and matter, especially your mind according to Moe Gok Sayadaw’s way, while you going, standing, sitting, and lying down. The more you observe, the more you become repugnant of the arising and disappearing mind and matter. In fact, it is Insight Wisdom (Vipassana-panna) which leads you from the state of arising and perishing(Sankhata) to the state of non-arising and non-perishing(Asankhata). With reference to the Four Noble Truths, the arising and the disappearing of the Khandha is Dukkha-sacca. The knowing of the arising and the disappearing of the Khandha is Magga-sacca. Extermination of Tanha (craving) and other defilements is the cessation of Samudaya-sacca. Non-appearance of rebirth, decay and death is Nirodha-sacca. 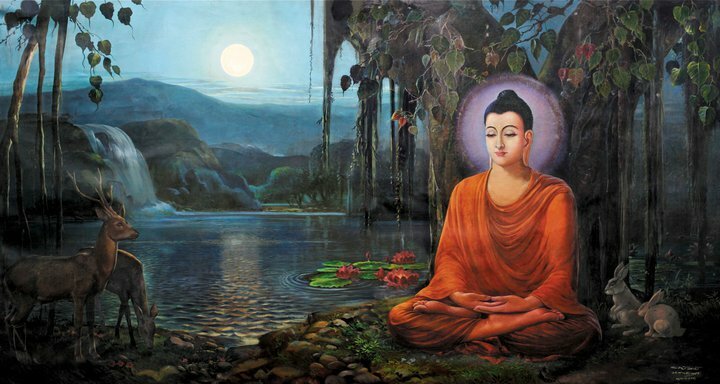 Hence, Vipassana meditation on the arising and the disappearing of the Khandhas covers the whole of the Four Noble Truths expounded by the Buddha. Therefore, Vipassana meditation should be practiced as soon as possible. Practicing Vipassana meditation is using the immortal medicine. Now I have given you the immortal medicine, compounded by Moe Gok Sayadaw as to the Buddha’s way as a gift of Dhamma or as a gift of gratitude to you. May I conclude my Dhamma talk here urging “Please use this immortal medicine” so that all of you can realize Nibbana. May all of you be free from the various kinds of suffering because of your good deed!